The question is always in my mind why do I love photos and photography so much and the answer shows up in each photo session. It does not show up when everyone is in their proper places. It shows up when no one is looking and the kids can just be kids! Andy did well at his eight year old session after all he loves to be the center of attention but this photo will always be one of my favorite. A boy at eight trying to balance his best friend on his nose! This is him all the way through. 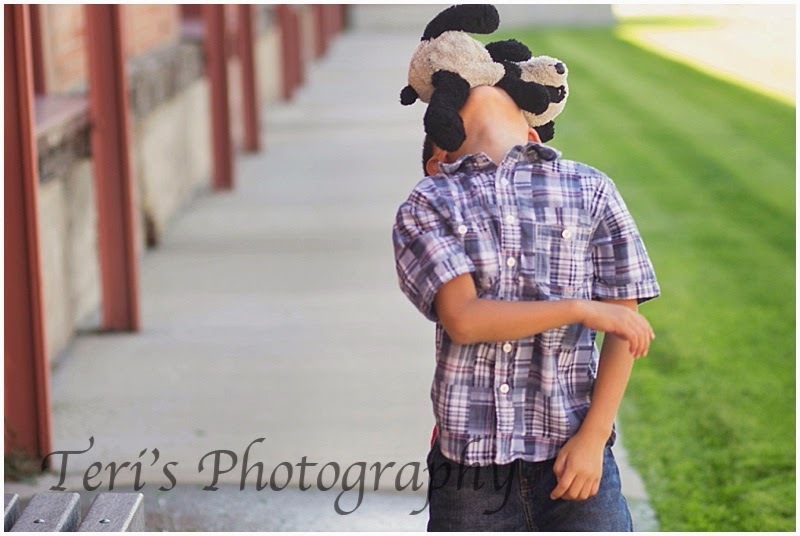 I love his "proper" photos but the day would not have been complete without a little bit of silliness! Oh how this makes me smile! Happy birthday to your kiddos! Loved catching up some seems like it has been forever with the craziness of summer.